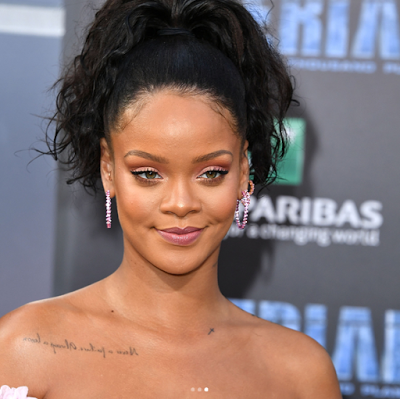 Gorgeous Rihanna rocked a pink off-the-shoulder gown to the premiere of her new film Valerian and the City of a Thousand Planets in Hollywood yesterday being Monday, 17th July. Yea, she is also an actress. Her outfit looked almost like a baby doll style from the front, with big puffy sleeves, a ruffled neckline and a sash cinching it in the middle. Breathtaking right?